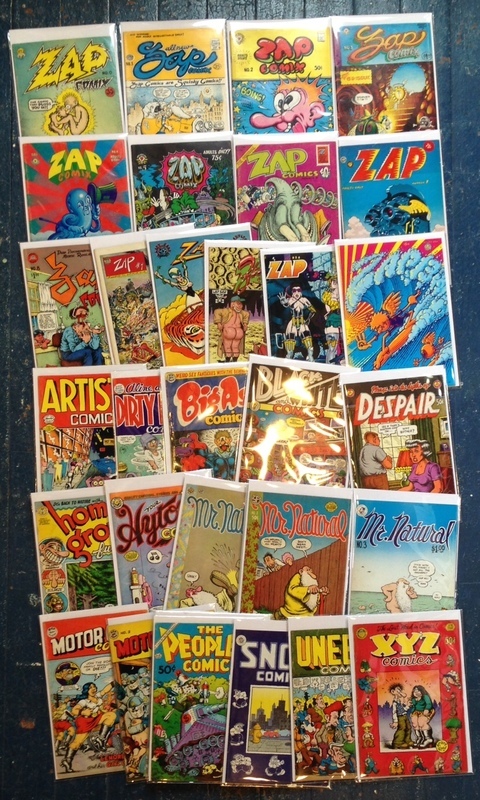 We just got in a nice batch of classic underground comics, with an accent on R. Crumb. Included are Zap #0 - #13 and many more. Also comics by S. Clay Wilson and others, including a copy of the elusive Funny Aminals featuring the very first appearance of Art Spiegelman's Maus!